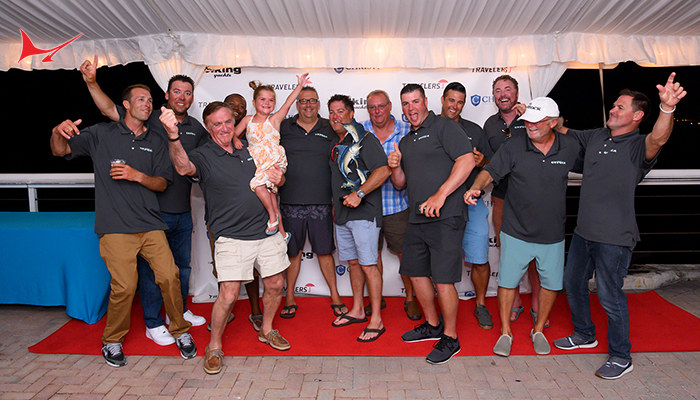 On January 16-20th, the 2019 Quest for the Crest Sailfish Series kicked off with its first leg, Operation Sailfish, hosted at Sailfish Resort & Marina in Palm Beach. 36 teams competed with hopes of claiming the champion’s dog tags and a piece of the $780,000 purse that was up for grabs. 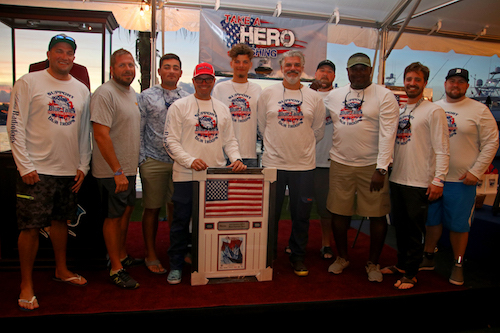 In conjunction with its charity, Operation Homefront, event activities included a ‘Take a Hero Fishing Day’ where tournament teams had the opportunity to show their appreciation for our United States military with a fun day of fishing before the tournament competition got underway. 20 teams hosted 40 veterans and active duty military. David Fritz, on Sandman, was the top hero angler releasing 3 sailfish to earn a beautiful trophy and a weekend vacation package to Margaritaville Hollywood, courtesy of tournament sponsor, Landshark Lager. Team Sandman earned top team honors on the Take a Hero day with 7 releases. Louie Aversano, on Native Son, won Heaviest Fish with a 22.3 lb. Dolphin and team Blue Tales won the award for Most Patriotic Team. They showed their American pride with custom “Take a Hero Fishing” shirts and flags representing every branch of the military. 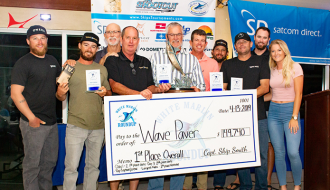 Day 1 of tournament competition found most of the fleet fishing north of Jupiter. Old No. 7 had the hot hand on the first half of the day releasing 5 fish before noon to earn a bonus $1,000 as the early bite winner. They were also one of three teams to advance into the second round of the highly touted Release Roundup category with a $284,400 winner-take-all jackpot up for grabs. BAR South had 7 releases on Friday and won the $1000 daily for Late Bite Friday. On Day 2, team MDALA jumped ahead of the fleet with 6 releases in the first half of the day. 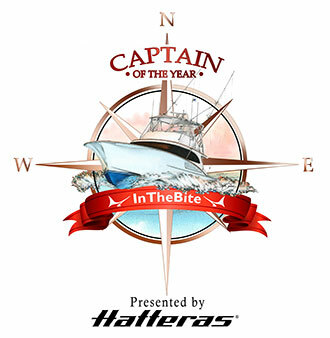 As time ticked away, the leader board tightened up with multiple boats in striking distance of a Leg 1 win. MDALA and Utopia went back and forth until Utopia hooked the final sailfish in the last 10 minutes before lines out to secure the Operation Sailfish win with 14 releases and a check for $103,460. 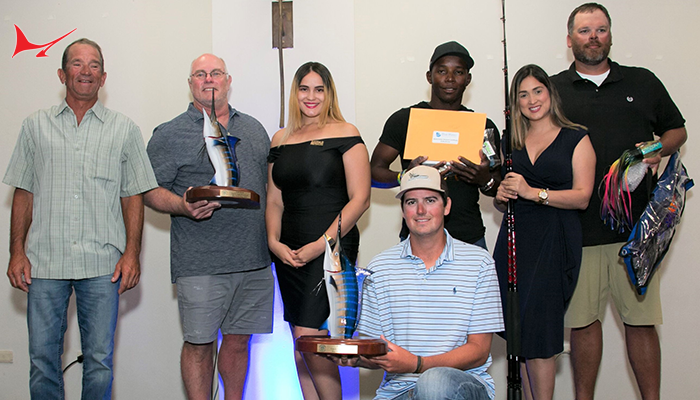 MDALA released 9 fish on Day 2 to claim the daily and a second place finish with 13 releases and total winnings of $159,680. Team Kluch/Reel Easy rounded out the top 3 compliments of a quad that they hooked at the end of the day. 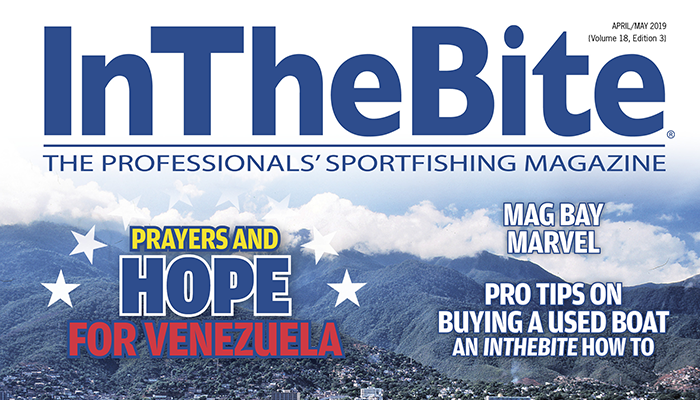 They landed all four fish to catapult from 10th place to 3rdplace and secure a great start in the Quest for the Crest Series along with a check for $19,080. Team Showtime finished 4th overall with 11 releases and a $57,160 pay day. 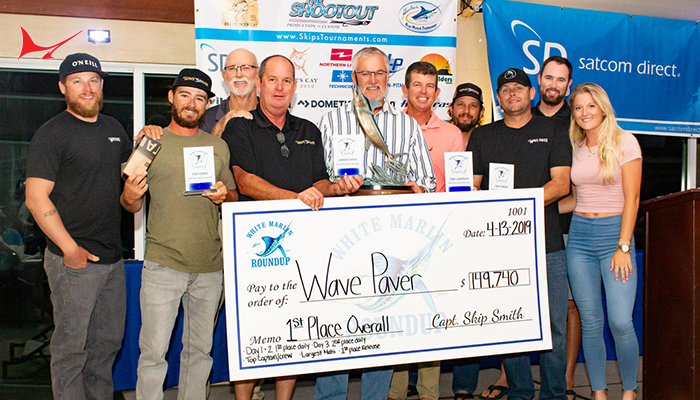 In 5th place, two-time Operation Sailfish champions, Bar South had a solid showing that included a first place daily on Day 1 and total winnings of $101,510. In the angler divisions, Rob Gothier on Bar South claimed the top male and master angler title with 5 releases. Sandra MacMillan on Sandman was the top female angler with 3 releases and Lathan Bennett from team Incognito was the top junior angler with 1 release. 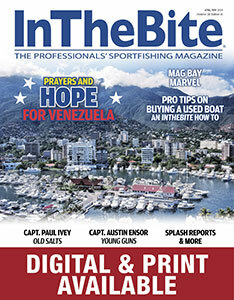 The heaviest fish of the tournament was weighed in by the Reel Captivating crew. 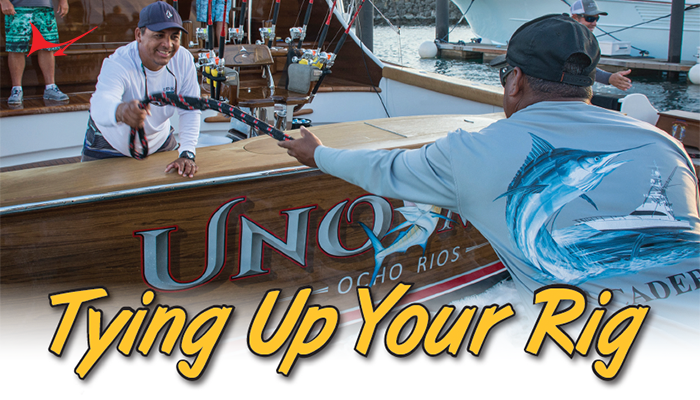 They landed a 40-pound king and a bonus $15,550 payout to go with it.